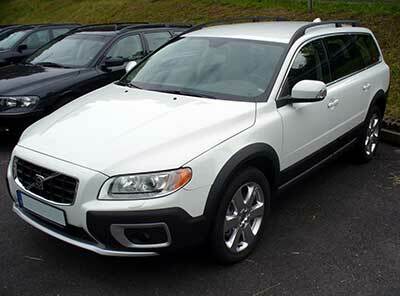 The Volvo XC70 2.4 D5 is no exception to the problematic DPF system. Although a great looking car and really nice to drive, it is still fitted with the dreaded DPF system and city driving styles will cause this filter to block up very quickly. In some cases, we’ve seen the DPF system on the Volvo XC70 try to regenerate the filter up to 5 times in just 150 miles, each time lasting up to 15-20 minutes. What warning will I get when my filter is blocked? When the Volvo XC70 2.4 D5 DPF (Diesel Particulate Filter) is blocked, you should get a message saying “Soot filter full – See manual”. If the filter cannot self-clean then you will see a following message “Engine System Service Required” – at which point the engine ECU will restrict all power and put the vehicle into “Limp Mode” which will cause the vehicle to lose a significant amount of power and kick-down. In some cases, we have had customers come to us with their Volvo D5’s where they did not see any warning errors and no lights were present on the dashboard but the vehicle was lacking a lot of power. This was down to the Diesel Particulate Filter being completely blocked and no warnings coming up on the dash – the loss of power isn’t due to Limp Mode, but due to the fact the engine is choking because of the excess back pressure. In extreme cases, we have had some Volvo XC70’s come to us on a recovery truck because the engine failed to start due to the excess back pressure. If the DPF is left to block up for so long, you can be looking at other problems such as turbocharger seals leaking and carbon-backup (carbon build-up) on the EGR valve. DPF Replacement – The filter will be replaced and computer reset. Doing so could cost you around £1500-2500 +VAT if using a genuine part. Use a copy part and expect it to fail very quickly, copy parts do not contain enough precious metals to do the job properly and make it last. DPF Regeneration – A technician can force-regenerate your DPF filter providing the filter isn’t dangerously blocked as this could potentially cause a fire because the exhaust gasses will reach temperatures of upto 900 degrees celcius. Even if the DPF Regeneration is successful, a forced regeneration will damage elements of the filter which help aid a self-regeneration and this means in future the DPF filter still won’t be able to self-clean and the problem may be back sooner than you think. DPF Chemical Cleaning – A workshop will remove the filter from the vehicle and soak it in chemicals (or inject the chemicals by removing one of the sensors infront of the DPF filter). Doing so may clean the DPF but again it will damage the elements of the filter and the problem will persist. If you use the vehicle for motorway journeys and your filter has just reached it’s service life, then replacing the filter isn’t such a bad option – you are keeping the vehicle to the factory spec but at a very high price. Keep in mind the new filter will also have a service life and if you do a lot of motorway miles, then this time may come sooner rather than later. If you’re not doing the motorway miles required and your driving style doesn’t suit having a DPF Filter fitted, then it would not be worth trying to maintain the system. Cleaning and regenerating the filter is also false economy because it will simply buy you a little time before you’re back to square one again. Our approach to the DPF filter problems is unique. We offer a complete bespoke and custom DPF Removal session which involves four very critical stages to ensure the vehicle will maintain it’s factory standard smoke-test results and continue to pass it’s MOT. 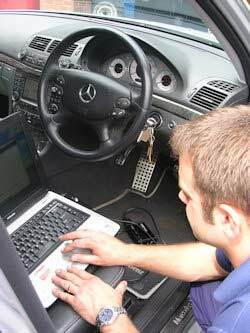 Diagnostics – We run a full diagnostics of the vehicle to confirm the problems, reset the Engine ECU and clear down all the fault codes. We then visually inspect the vehicle to ensure there are no other underlying problems. Physically Removing DPF Filter – A lot of companies are offering to replace your filter with a “straight-pipe” and before 2012 this was okay, however if you have fitted a straight pipe in place of a factory fitted DPF Filter then your vehicle will not pass it’s MOT and not be road-legal. We do not fit straight pipes, we modify the existing unit – our modification is a non-visible modification and guaranteed to meet with MOT regulations. Custom DPF Removal Session – We custom delete the DPF from the engine ECU via the OBDII port on the vehicle (diagnostic port). We download all the data and manually scan through the strings of data to de-activate the entire DPF system completely. There are several sensors which are involved in operating the DPF but also in operating and maintaining good emissions on the vehicle. A lot of companies will use “Automated Softwares” to do this bit making it cheap and very simple, however the problem is this software WILL delete the sensor files as well. Doing so will disrupt emissions and you may find your vehicle smoke after the work is completed. We manually de-activate the DPF and modify the sensor related data strings to ensure the vehicle will continue to function correctly without the DPF filter system. Smoke-Correction Service – This is something that is unique to SINSPEED. We have in-house developed equipment and in-house tailored software to manipulate the ECU and optimise it to run efficiently without the DPF system in place. This will allow the vehicle to make significant gains in fuel economy and also guarantee an MOT pass. After having your DPF removed by Sinspeed, you are no longer required to maintain motorway miles – you can drive the vehicle whichever way you like, be it for town driving only or a combination, it won’t matter. You will not experience any DPF related warnings on the vehicle, you will not go into LIMP Mode and lose power, you will not experience any smoking issues with the vehicle and your vehicle will continue to pass it’s MOT. Finally, you will experience an overall increase in performance and fuel economy, smoothing out any flat spots and safeguard the life of both your turbocharger and engine. A new DPF (Diesel Particulate Filter) can cost in the region of £800-1500 (+Labour & +VAT). We can remove the entire DPF system for a fraction of this cost and you’ll never have to worry about it ever again. For more information and pricing, please call us on 0844 847 9999. 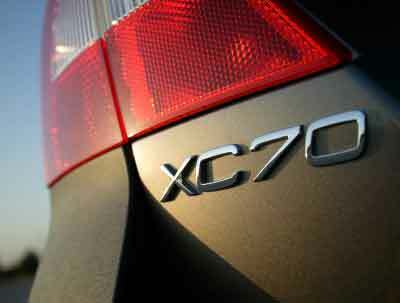 Tags : Help With Volvo XC70 2.4 D5 DPF Problems, How To Remove Volvo XC70 2.4 D5 DPF Filter System, Removing Volvo XC70 2.4 D5 DPF System, Replacing Volvo XC70 2.4 D5 DPF Filters, Volvo XC70 2.4 D5 DPF Blocked, Volvo XC70 2.4 D5 DPF Failure, Volvo XC70 2.4 D5 DPF Problems, Volvo XC70 2.4 D5 DPF Regeneration, Volvo XC70 D5 DPF Filter Replacements, Volvo XC70 D5 Replacement DPF Filters. Hello Jason, my 2010 v70 2.4 td. has lost power , and little pressure from the exhaust, seems I need some work to the exhaust… can you cost it and where are you.